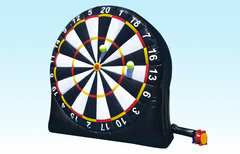 Massive 16 ft tall Inflatable Dart board comes with velcro Soccer Balls or Archery with velcro arrows. Fun For All ages!! 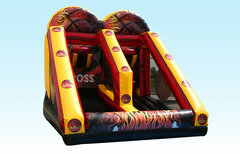 This gladiator joust is just like the one you remember from TV. Contestants try to knock each other off the jousting platforms to declare victory. 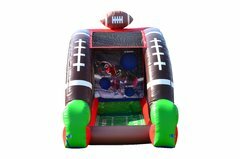 This joust is perfect for any age. The pedestals and poles are nice and soft as well as the inflatable area that each contestant falls on. 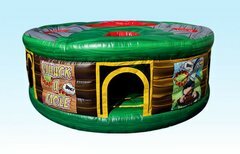 This exciting game alows you to take part in a real life Whack a mole game. Fun For ALL AGES! !